I don't know about you, but I'm always losing my phone. Not only that, but I carry alot of things with me everyday, so I use a large bag. What usually happens? My phone makes its way to the bottom of the bag, and when I hear it ring, or I get a text, I spend precious moments either diving for the phone or pulling everything out to find it! 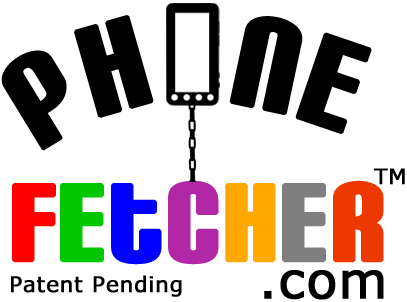 I've had the pleasure to try the Phone Fetcher. I have been using it now for over a week and to be honest, I don't know how I've survived all this time without it. It's one of the best new products I've seen in years. 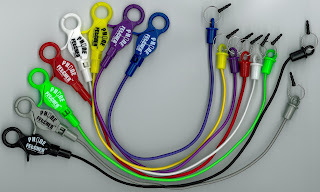 It has a hook on one end, then a stretchy bungee cord that has an end that plugs into the headphone jack of your phone. 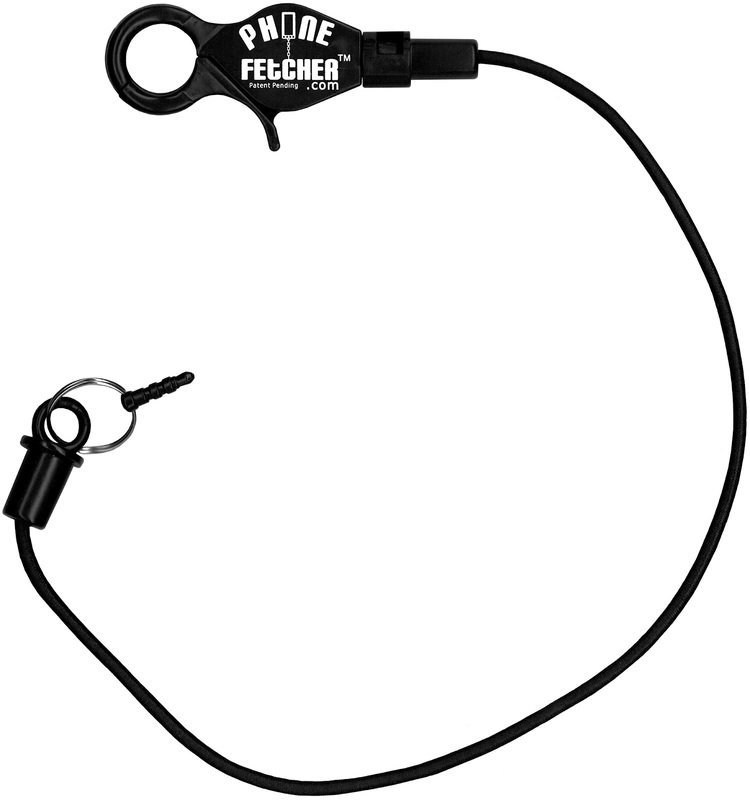 I've been hooking the fetcher on the side loop of my purse. Everytime I need my phone I just tug lightly on the cord and here comes my phone, with no hassle!! Not only that, but I don't need to unhook it to use it. The cord stretches so it's easy to text without unhooking it. My husband has been borrowing it as well. He hooks it onto his belt loop and the phone slides easily into his pocket. Both of my kids have asked for them for their backpacks. I'll never have to worry about leaving my phone somewhere again or missing calls because I'm diving into my purse. When I do unhook my phone, I leave the Phone Fetcher attached to my bag, hanging on the outside. This way I know when I'm leaving, that I don't have my phone. Great reminder! 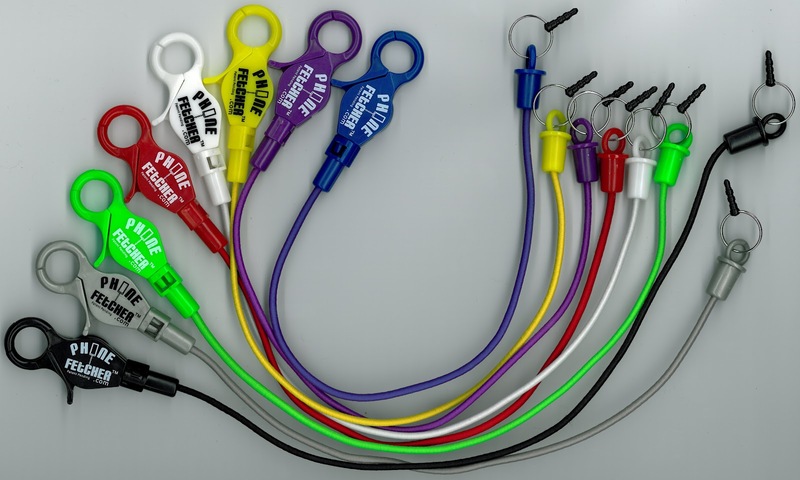 The Phone Fetcher comes in 8 fun colors and a silver chain model will be available in about six weeks. 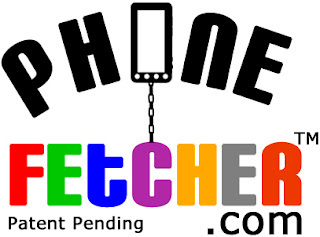 If you're looking for that unique gift for your mom, a gift you know she will use, definitely think about the Phone Fetcher! I LOVE this product!! One lucky reader will win their own Phone Fetcher!! I would prefer black so it goes with any phone case I have! They are all gorgeous colors! I'd have to say either the purple or the green. Black is what I'd choose. Thanks for the chance. i love this in red! I like either green or white.